Just in case you're one of those who likes to size people up on account of their looks, permit me to say that you have a lot to learn about life. I'll explain this briefly using the case of three popular birds and how they measure up against one another. By now, you must have heard different stories about the eagle's conquests. You're also aware it's the famed King of Birds and by extension, of the Air. 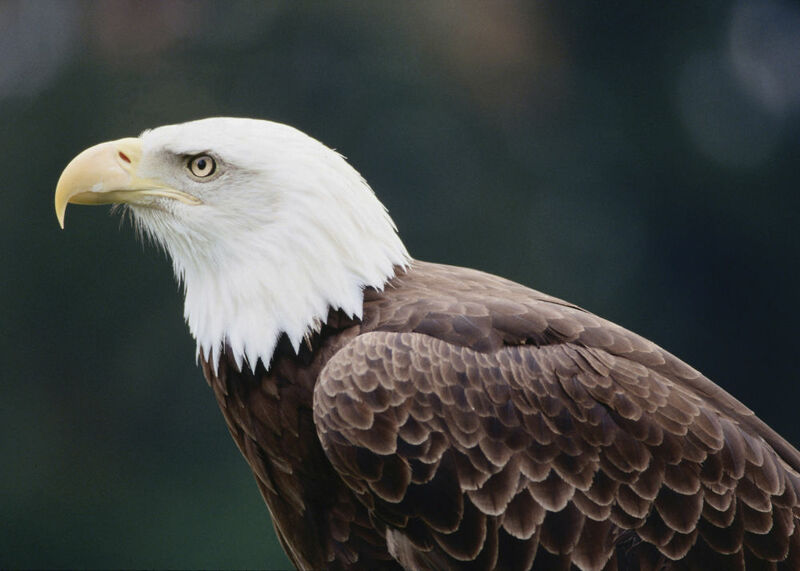 An eagle is a chief raptor which hunts and kills for food. It kills other birds, huge rodents, fish, baby seals and in some cases, the most venomous snakes on earth. In desperate times, it's been shown to eat just about anything - even its own eaglets and those of its rival eagles. Desperate times, desperate measures. An eagle has talons fierce enough to pierce through just about any kind of flesh too. In fact, if an eagle were to mount your arm, its talons could pierce one side of your hand and out the other. Its remarkable panoramic view is another reason why anything hardly escapes its visual field. It could spot an earthworm from over a kilometer away. It hunts alone and this happens to be a crucial survival factor. Friendship occupies a minuscule position in the dictionary. Live alone, die alone. It makes no noise about its intentions but leaves a domineering presence on its community members. An eagle represents grace, determination, strength and most importantly, respect. You've heard different stories about this one too, most notably its monumental ugliness. Ugly is what humans call it but I'm sure most, if not all animals see things from another perspective. A vulture is a scavenger which literally toils the earth for its food. It eats what other birds dare not eat hurriedly. It eats carcasses - dead bodies. It's known to often pay laboriously long attention to wild predators as they devour their food. It announces its arrival as lions, tigers or hyenas feed on a prey ranging from the smallest antelope to the largest buffalo. This level of audacity has resulted in the vulture's death in some cases and in others, deserved reward which sees predators make provision for left-overs. Where vultures stand, hardly any other bird dares to. Though the eagle would occasionally hovers around a perimeter mapped by vicious mammalian predators, it hardly ever gets as close to danger as the vulture does. While the eagle makes circumstantial calculations, the vulture risks everything. Every time! It doesn't necessarily indicate the vulture's strength; instead, it's a startling display of its sheer resilience. Its beak is designed to wrestle through hard meat too, making human flesh nothing but a piece of cake. Vultures unlike Eagles usually move in groups. And were a vulture to square up to an eagle in a battle, it's sure to end up dead. Always! Ultimately, a scavenger might be no match for a raptor but its pathway to survival is a force to reckon with. You must have heard this particular simile, "as lazy as a peacock". Perhaps you've also wondered why people have refused to cut it some slack instead of simply appreciating its beauty for what it is. You're right though, people are right too. The peacock boasts of ornamental and colourful elegance but that's all there is to it. While the vulture and eagle literally have to journey across harsh terrain in search of food, the peacock has little headache to contend with. The wild peacocks eat small animals - particularly lizards, insects and mice -but also grow to accommodate berries, grasses and seeds into their diet. The domesticated ones are a lot more timid, settling for cooked rice, bread and fruit as the case may be. Both subdivisions eat less bulkily and violently but on account of their bright colours, may appear healthier than the two other birds. The peacock never gets to experience the torment faced by the vulture and eagle. Life comes easy for it, most often than not. But when it comes to showing thorough dexterity and street credibility, all it does is watch and flap its wings loudly as the other birds assume aerial command. All noise and no flight. Besides, challenging either of the two other birds would be a suicidal approach because on these streets, there are birds and there are birds. Some people have only had to contend with little obstacles all their lives and achieve appreciable success as a result. Others have struggled their way to prominence while paying dearly at different points in time along the way. Therefore, your stress-free path to success puts you in no position to judge the obstacle-laden achievers. In fact, a little step further and you may be summarily consumed as breakfast.